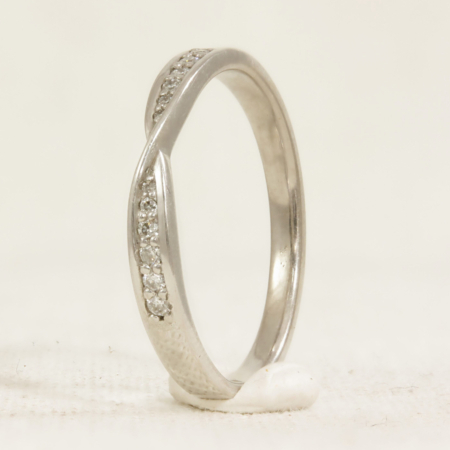 18k White Gold Wedding Ring with a twist Centre. 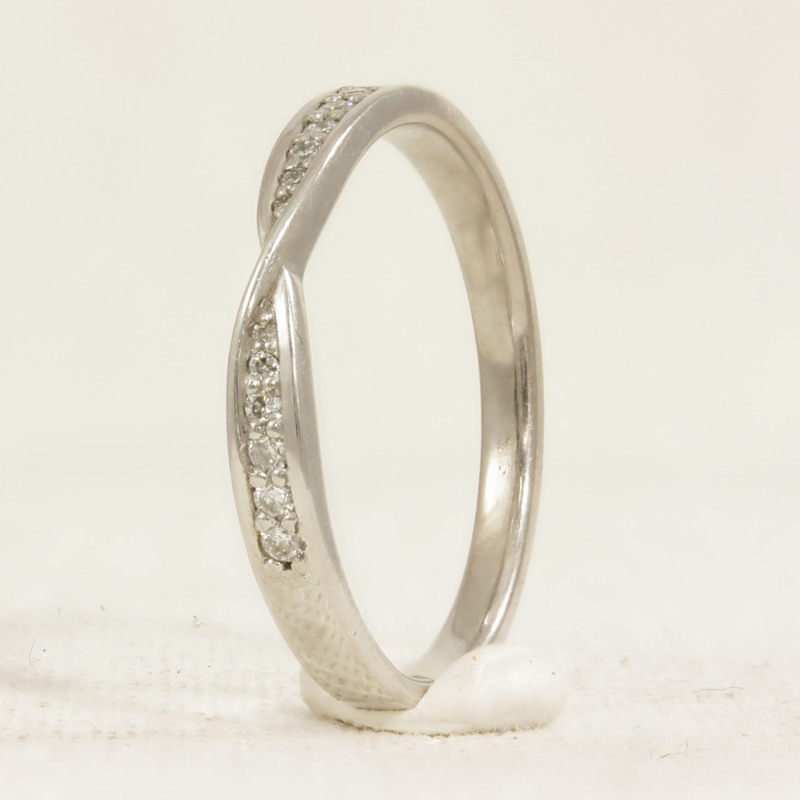 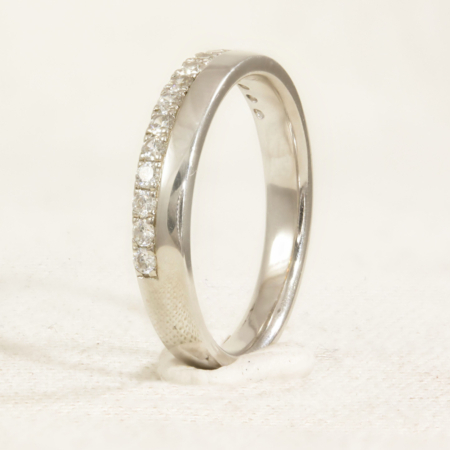 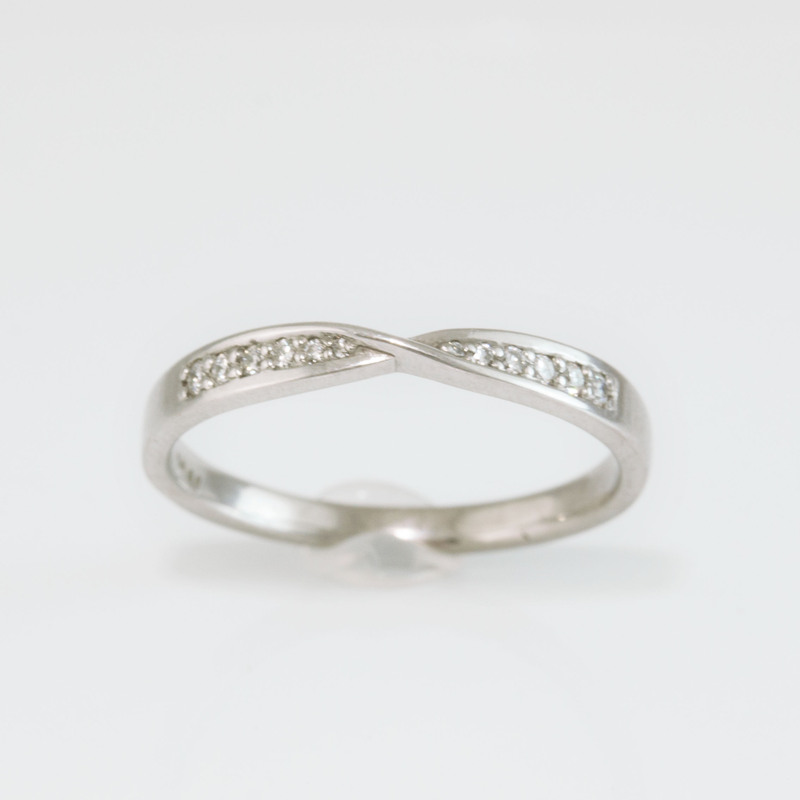 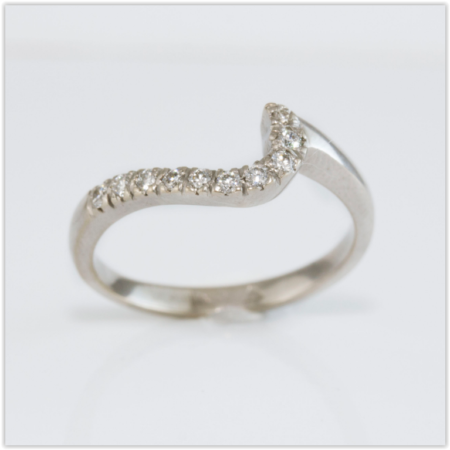 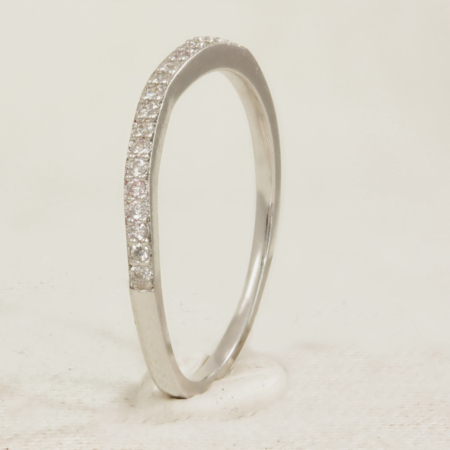 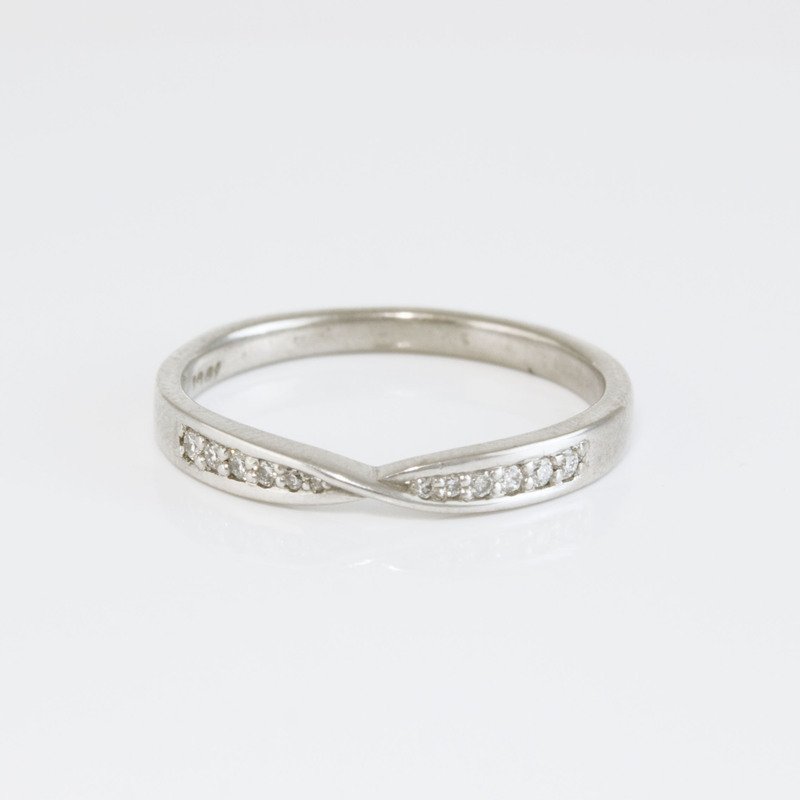 The twist is added to sit neatly around your engagement ring without having to add a curve to the band. 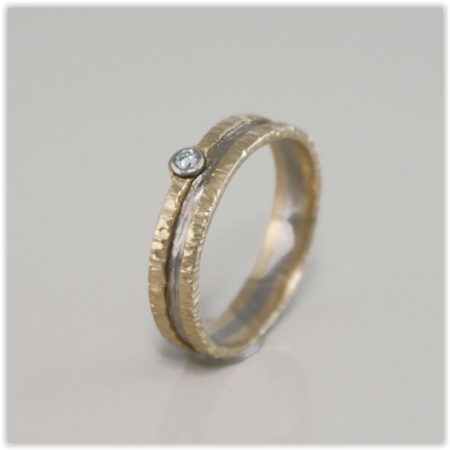 12 round brilliant cut diamonds.